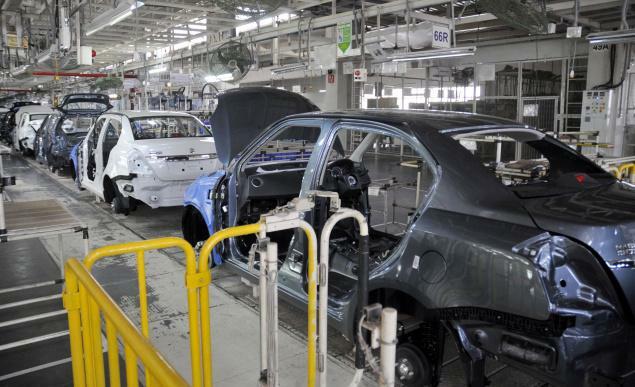 India’s largest car manufacturer, Maruti Suzuki, did add 200 workers at their Manesar plant in Haryana State, now increasing the number of people working there to 1300 or more. The recruitment drive is mainly due to persisting labour conflicts at their Manesar plant. The continuing unrest did force Maruti to start production of their Swift hatchbacks at Gurgaon. Initially, the Manesar plant was responsible for Swift’s production. The restart of Swift’s production at Gurgaon was aimed at raising production levels and the long waiting period the car has before delivery to the customer. As we know, Maruti did introduce the new Swift that was an upgraded version in August. The bookings for this new Swift are crossing the 90,000 mark with an already extended wait period for these cars. Currently, the manpower added onto Manesar includes engineers, supervisors, experienced and trained workers, and the company hopes to increase the workforce at Manesar in the ensuing days. To recap on the ongoing rift between management and workers, it all sparked when Maruti asked the contract workers to sign the ‘good conduct bond’ and halted their entry to factory if not agreeing to do so. Maruti enforced compulsory signing of the bond as it found serious defects and sabotages in the cars that were purposefully done by the workers. This made the management dismiss quite a number of workers adding more salt to the wounded staff. Haryana Govt’s intervention proved futile too. Some workers still haven’t signed the bond necessitating Maruti to hire new staff. The company says 650 Swift cars were produced on Thursday at both Gurgaon and Manesar, and 625 cars on Wednesday. With normal levels of Swift production, Maruti now plans to restart A-Star and SX4 production at Manesar. The company claims not to have made any new move to talk to the irate workers who still haven’t signed the bond.